Large Labradorite brooch/pendant designed and handmade by QVJ in Silver and set with some really nice coloured Spinels. 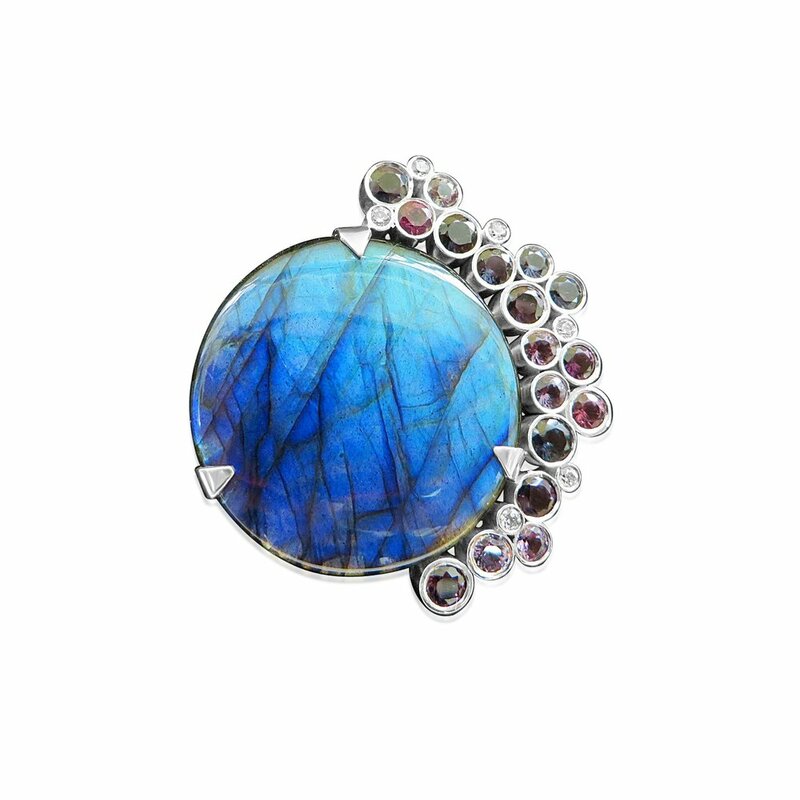 Labradorite brooch mounted in Silver and 9ct red gold and set with black diamonds and topaz designed and hand made by QVJ. Precision cut Amethyst dress ring designed and hand made by QVJ in 9ct gold. 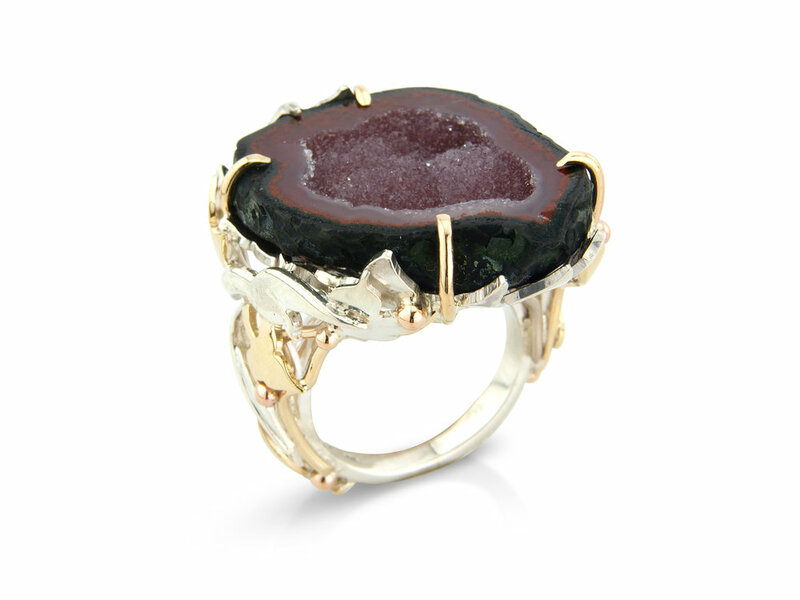 Druzy geode dress ring designed and hand made in silver and gold by QVJ. Agate slice mounted in silver and gold designed and hand made by QVJ. Top quality Amethyst set with diamonds and rubies in 9ct rose gold designed and hand made by QVJ. 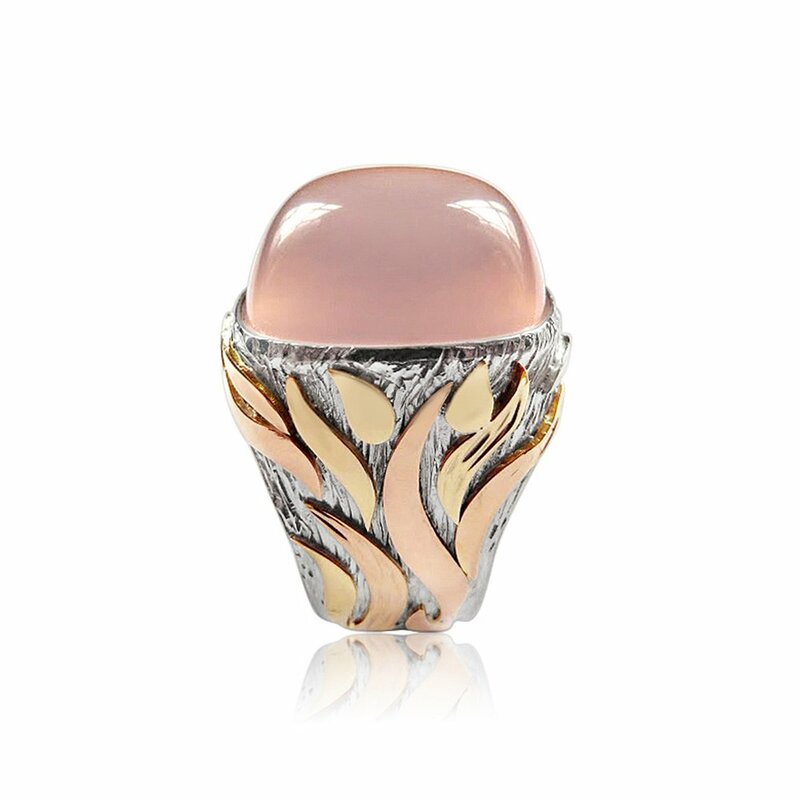 Rose Quartz high fashion ring hand made in high quality Silver and embellished with solid 9ct Gold decoration.